A Quiet Mind versus a Silent Mind is a key discernment with vast implications. What you are about to read is about my actual experience, and derives from insights I had, not theory or concepts. While is uses some of the concepts you may have heard or will hear in spiritual talks or literature as well as quotes that confirm or resonate with it, the raw experience of “seeing” the truth of it is what makes it integral and seamless. Hopefully it will become real for you too. This exploration is regarding a very important distinction between what we will call a “quiet mind” and a truly silent mind, the latter being a timeless “space” of presence, reality itself, difficult to put into words. A quieted mind, which is more common, and in a sense a “fake” silence, is often mistaken for the silent mind sages point to. A quiet mind is a state—a passing, phenomenal experience—whereas a silent mind is not. This is reflected in a meditator’s or seeker’s doubts about what is being revealed or mentioned by their practices (since it comes and goes, cannot be held onto in their life), and a lack of understanding of the reality of what we are as universal beings (having a localized experience). What I realized very clearly is that war with the mind is a battle one can never win. It will go on forever. I had no formal meditation practice (such as sitting on a cushion at a certain hour of the morning), but for about 30 years I did a nearly continuous, informal practice, of what for practical purposes we can call “mindfulness”. 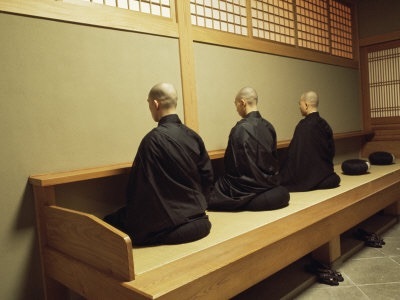 This was integrated into daily living: from the very beginning, when I heard how meditators couldn’t maintain their calm once out of the meditation or the Zen center, when they got out in the world, I saw no point in sitting in a separate formal meditation. So why not start that way, where the rubber hits the road. So that’s what I did. I meditated while washing the dishes, driving, working, talking to a neighbor, walking … anytime, anywhere. The structure of my practice started in part in Zen school in the late 80’s when I learned the Zen Buddhist practices from Joko Beck, called zazen (sitting meditation) of bringing the mind back into the present (or trying to) by focusing on present “internal” or immediate data: bringing awareness to anything that arises while sitting with eyes partially closed, in front of a wall, settling the mind so that subtler and unconscious thoughts and impressions can arise and be seen. At the time, I didn’t fully understand what he meant by the “gap of no-mind”. I didn’t appreciate that it had any significance beyond a description of not-thinking, or not thinking of not-now (or as much). Now I see it has tremendous significance, and in fact it’s what this whole article (and website, in a way) is pointing to! In any case I did this practice whenever I found myself caught up in thinking, such as in an internal dialogue, argument, fantasy, or some mental future scenario, a memory or worry. This supposed distraction from the present could occur anytime, as well as the practice or pulling oneself back: while driving, eating, taking a walk, a shower, working, doing the dishes, having a conversation with a friend… The distraction is mental “noise” you could say, pulling one away from where you’re at, and what you’re doing. It’s useful at times, such as in avoiding accidents while driving or cutting vegetables! At a higher level, it can potentially be a segue into Presence. But why does it so rarely do that? I now realize it is limited and limiting by nature: it’s a mind game. One clue is the fact that in reality are are always in the present. There is no real not-now to bring ourselves back from. The past and future do not exist. The Now is truly all there is in the entire universe, inside and out. The past and future exist only as mind-stuff: thinking, conceiving, remembering are what create time. So thinking too exists in the present, even if it’s about the past and future. The past is a memory and the future is memory-based thinking projected into a mind-based realm of “future”. But we take it very seriously. Why? Because it’s about us. Us, as a body with it’s interests as an ego or separate self. However, this me-thinking, the “i-though”, is also thinking. That’s OK, but it’s important to see it if you want to get beyond the merry-go-round of thinking thinking thinking that is not only distracting but stressful and the cause of suffering. So, obviously, as many people realize (including in psychology and coaching fields) the key would seem to be to somehow greatly reduce or ideally, stop thinking. Right? Makes sense. All this mind-activity takes energy away from living as a being, and being present and alive to what’s happening now. Which is everything, including the experience of beauty, truth and love. And countless spiritual teachers , meditation coaches, sages and others have advised that it’s our thinking that’s the cause of trouble and problems, and is what negative feelings are really made from and caused by. Our thinking creates and forms our worldview: the picture of reality and our world projected out via that internal representation. So, if we could stop thinking, we would realize reality, our true Self, and all would be well. True perhaps, but easier said than done. The mind seems to have a mind of it’s own. One day while driving up to group I was doing dialogues and meditations with, the self-evident truth hit me, and I laughed: “I”, which is a thought, was trying to stop “the mind”, which is thinking! They are the same thing but trying to stop or annihilate itself! It simply can’t be done. It’s a great big joke (on me). It was so simple yet so important, fundamental. Ever since this insight, the mind (which doesn’t really exist) has quieted down and needs no effort on my part to stay that way. “I” feel so much lighter, free, happier and more loving, like a great burden was lifted from the shoulders. So many insights flowed from this one quiet little insight, that little comic cosmic seeing, that it was like the trunk of a tree that has many branches blossoming (and is yielding many new articles). What hit me was that this practice was actually creating a battle within. I could succeed in bringing myself to pay attention to what was going on around me—the so-called present moment of perceptions (vision, hearing, taste, smell, bodily sensations), and wake up from the thinking noise—whatever fantasy or mental yakking I was engaged in. But stopping the talking, thinking, or quieting it down was like a very high maintenance girlfriend; even if successful at appeasing her, it was not permanent, and always had to be instituted again. It was a forced thing in a sense. I realized there was a basic problem, or situation here. It’s no wonder that I never won. It’s a conflict within oneself. You do not have to watch the thoughts, analyze the thoughts, be the witness to the thoughts, or observe the thoughts in any way whatsoever. All of these symptoms simply make the mind stronger really. To see the context of how little control we have: we don’t control what’s going inside our cells right now, the amount of blood cells the bones manufacture, or the firing of neurons or what parts of our brains are doing. Thank god this is all on automatic. Indeed, they go on by themselves, unconsciously. There is no central controller. If there was, what would be controlling it? The universe, the totality is the only rational answer. To see the context of how effortless living is: seeing, hearing, sense of touch, and thinking too happen, without having to take lessons.They are effortless. So is thinking. They are natural movements of energy. As natural instruments, thinking is used for practical purposes, like finding directions to a restaurant, or for celebratory purposes, like enjoyment of thinking and conscious fantasizing and telling stories or making art, or for worshipful divine purposes like contemplating the truth. It’s misused when it causes suffering, when it is psychological – an inherited dis-ease of useless thinking, that is centered on a non-existent seemingly separate self: one that needs defending, reinforcement, is fearful, hateful, controlling, guilty, worried, etc. But stopping or slowing thought is another matter. It’s like a ball of mercury you try and pin down, it slips out the second you are not on top of it. Or like the proverbial herding of cats. And the next minute, or hour, when your not on top of it, even if you succeeded to some degree, you have to start over again. So natural intelligence is effortless, but this artificial thinking, this repetitive and effortful movement, is a learned habit. And this includes “mindfulness” practices. We as consciousness are responsible for everything, but as seemingly separate entity, do nothing on our own. The will that supposedly is ours does not exist, is only the “will of God” (in theistic terms), the totality, which is effortless continuous presence and intelligence Now: the very being of our inner nature. This “inner” nature is in fact outer nature too, appearing in experience via a mind instrument which projects it as a seemingly objective reality. What I saw was that a presence practice and trying to gain a quiet mind by bringing oneself into the present, is in fact a dualistic practice, and sets up a conflict. In other words, it reinforces the dualism it should or could eliminate. In summary, in effect, this mindfulness practice I used was a form of resistance to What Is. It’s pushing some things in the background and putting other mind content forward. This is verified by the experience post-awakening to the seeing of it: there s an effortless quieting of the mind, which is felt as natural, and the spontaneous awareness of new ideas, fresh perceptions, beauty, love and truth to a greater degree. The mere recognition is enough to allow the silent mind to quiet the mind, without any practice. It’s more like “Ah, Silence Is”. It’s too simple to even describe. You could call it Self-Knowledge, or knowing who one is. These are all names. The question is, are you experiencing it? 5. Natural and universal intelligence and will is here now always and evident as what happens in your life. Thoughts, or the activity of thinking, is like everything else going on “here” or ”now”: just as with perceptions and sensations, they happen all by themselves. I’m not willing eyes to see or the ears to hear, or the heart to beat and the blood to flow, at least consciously, and I’m not willing the brain to do whatever it’s doing and however it’s involved in thinking and perception. There is no central will-er anywhere to be found. It just doesn’t exist. It was an idea, tacked on later to what was happening. The do-er is an after-thought, a trained passenger monkey taking credit for the self-driving car doing it’s thing. 2. Now is Now, and the mind is the mind. And, what or where is the now? In other words, what is not now? Is anything truly not now? Are the supposedly non-present thoughts, the fantasies and inner dialogues and projecting into the future (in the form of dialogues and planning and visualizing and the remembering things), the not-now thinking – isn’t that all taking place now? How can one be in the not-now? It’s not actually possible. Sure, it’s a useful technique if you’re driving and you need to pay attention to the other drivers or where you are on the road and what turn off to take, and not be “lost in thought”. It’s vastly more effective to be present while doing some artwork, and listening to a friend… but that is merely the mind “paying attention”, if one is not truly open and present, empty of mind, empty of self. That “minding” is a part, a function, a useful instrument of consciousness, used properly. But it’s not who or what you are, who I am. The mind is content, and the attention is a mental function. Focusing on one set of content rather than another set is useful in certain situations, but limiting by nature. And, it seems there was a who or what, a “me” or person that was trying to stop thinking: it appears there were two entities, the “me” trying to stop thought, slow or quiet thinking, and the Thinking going on (that supposedly was problematic). But if this “me” is made of thinking, then it’s merely one part at war with another part, trying to enforce quiet. It’s a conflict situation. In other words it was coming from a personal motivation, a personal thought, a personal something, a person… The “I” wanted “me” to quiet and be present in the moment, in the Now. No wonder I never won: I didn’t exist! This is part of what is known as a “progressive path” in contrast to the “direct path” (there are many progressive paths and only one direct path). A progressive path is for a person, and involves improving or purifying that person in some way, such as by peeling off of layers of the human being, so they get closer to a higher state, or to self-realization some day, gradually getting closer to being a perfect being, an enlightened person. In the direct path, it is not for a person, or the human being, or Earth being, but for the Self, that is, Being itself, which is not a state but reality. Thus the student is told upfront, or realizes (has a glimpse, or in a flash) of who or what they are, and thus opens to the possibility that the Self, or Consciousness, or whatever word is used, is all, universal, infinite (more concepts of the ineffable) and therefore what they thought they were does not exist, is an illusion, a mere thought. 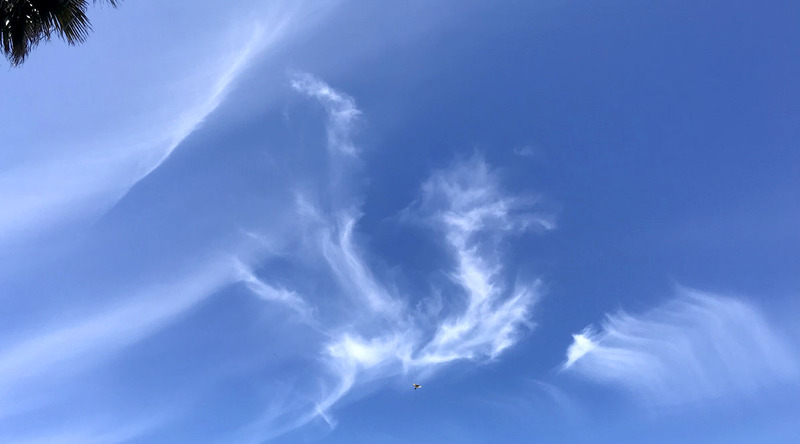 They then incrementally drop, dissolve, let go of, stop holding onto the habits, patterns, filters, condition, programming, in the way (thus the word is “non-duality, not “Oneness”: see what you’re not to know what you are). This is done by both rational and irrational means. The direct path is being shown with a powerful telescope (or via a quick tram ride), to the top of the mountain right from the start, then piece by piece throwing off the ballast of the balloon that takes one there. What do the progressive and direct paths have to do with a quiet versus a silent mind? In mindfulness practices, the mind is taken seriously, as a real thing, and as part of a person, which is also considered a real thing. In the direct path, reality and consciousness are realized as one and the same non-thing: this present universal, impersonal Be-ing. Not this or that be-ing, just Be-ing. mind: the total sum of perceptions, bodily sensations, and thoughts being experienced. ← How Can I Have an Experience of Non-Duality?